Today’s message compares us to bread. It uses bread as a symbol. Think about how many different kinds of bread there are. No two loaves are every the same. Think about what the yeast does. It expands and grows the bread. That is a goal of our lives. We strive to grow and be more…have more to offer the world. Bread is one of the cheapest foods there are making it easy to share. The more we have, the more we are, the more we are asked to share. We are asked to rise up and reach out to others without fear. 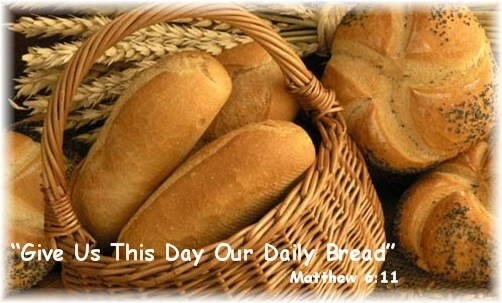 In Matthew 14:13-21, Jesus fed 5000 people on only 5 loaves of bread and 2 fish. We are reminded to reach out to others without fear. We are enough. -Lunch with my neighbor, Joan. -We went to the theater and saw “Singing in the Rain.” It was just great. -Catching up with both my girls and Cathy.